The first woman cheering leader Nukui of NTT West Japan. 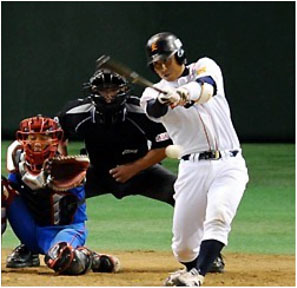 Photo by The Mainichi Game-ending hit by Yamazaki of JX-Eneos in the bottom of 10th. Photo by The Mainichi.